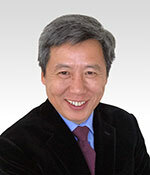 Yong Zhao currently serves as the Presidential Chair and Director of the Institute for Global and Online Education in the College of Education, University of Oregon, where he is also a Professor in the Department of Educational Measurement, Policy, and Leadership. He is also a professorial fellow at the Mitchell Institute for Health and Education Policy, Victoria University. His works focus on the implications of globalization and technology on education. He has published over 100 articles and 20 books, including Who’s Afraid of the Big Bad Dragon: Why China has the Best (and Worst) Education System in the World, Catching Up or Leading the Way: American Education in the Age of Globalization and World Class Learners: Educating Creative and Entrepreneurial Students. He is a recipient of the Early Career Award from the American Educational Research Association and was named one of the 2012 10 most influential people in educational technology by the Tech & Learn Magazine. He is an elected fellow of the International Academy for Education. His latest book World Class Learners has won several awards including the Society of Professors of Education Book Award (2013), Association of Education Publishers’ (AEP) Judges’ Award and Distinguished Achievement Award in Education Leadership(2013). See flyers for Zhao's books Never Send a Human to Do a Machine's Job and the World Class Learners bundle.